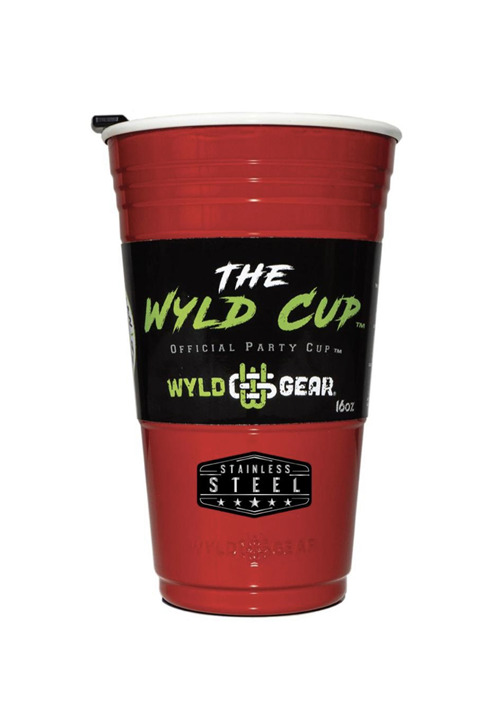 "The Wyld Cup" "Official Party Cup" "Official Tailgating Cup"
When it’s Game Time look no further than our "WYLD CUP" (TM) also known as “The Official Party Cup” (TM) and “The Official Tailgating Cup” (TM). 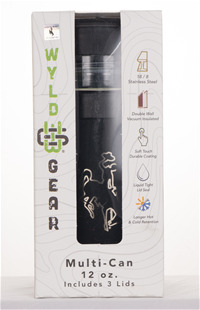 MADE FROM HIGH GRADE STAINLESS STEEL and FDA Approved Coatings. This cup is vacuum sealed and will make sure your drink stays cold till the last drop. 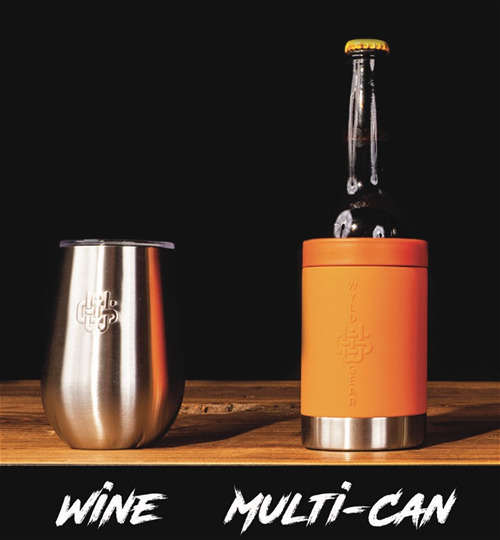 No more party fouls with our patent pending cup design and sliding lid design. 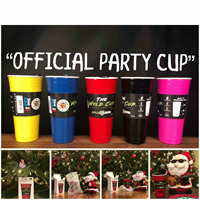 Party again and again with reusable cup that comes in 16 oz., 24 oz., and 32 oz. sizes and we have over 20 color options and PMS color matching abilities. 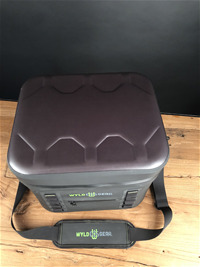 Also check out our Game Day Soft Cooler with a built in internal cold storage pocket. 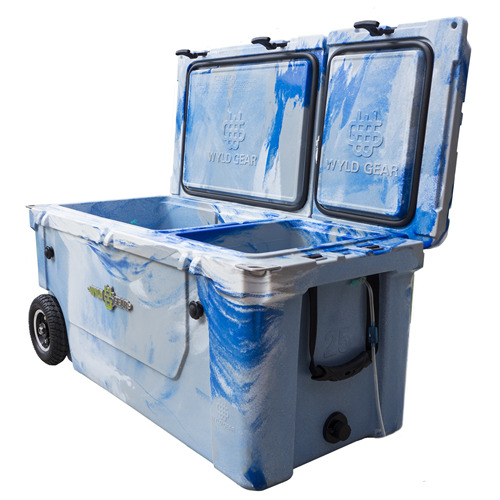 This keeps your sandwiches fresh and chilled while you drinks are chilling in the ice. 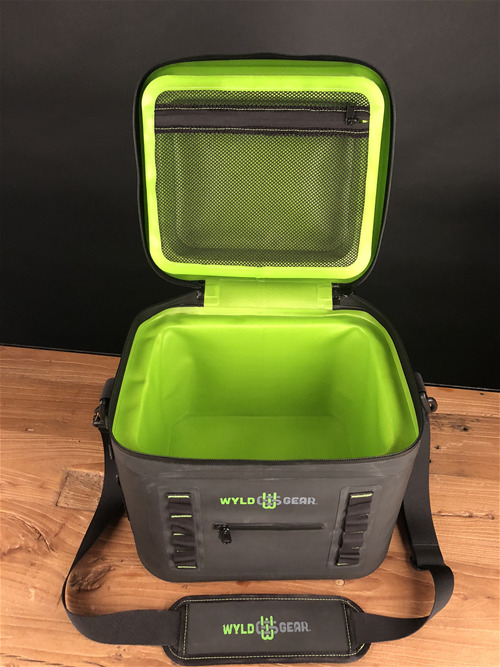 Wyld Gears Hard Coolers come with built in dividers and seperate lids for the ultimate tailgating experience. 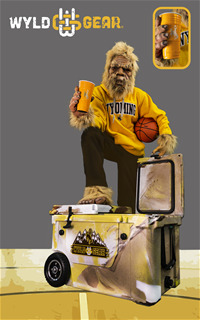 Our "Official Tailgating Cooler" (TM) also has a one of a kind drink tap connection for tapping your drink of choice. 3 Sizes For All Occasions 16oz, 24oz, and 32oz. We rate size by can capacity. We have 20+, 30+ and 40+ sizes. Check out a few of other key features. Wake up with a warm cup of coffee in your multican. Then simple rinse and store your hot soup for lunch on your hike on the trails. Then kick back and rest your legs and enjoy your favorite can or bottle beverage. A whole day of fun all packed into one small multican. Imagine the possibilities. Nothing Official here just a simple container with endless options.